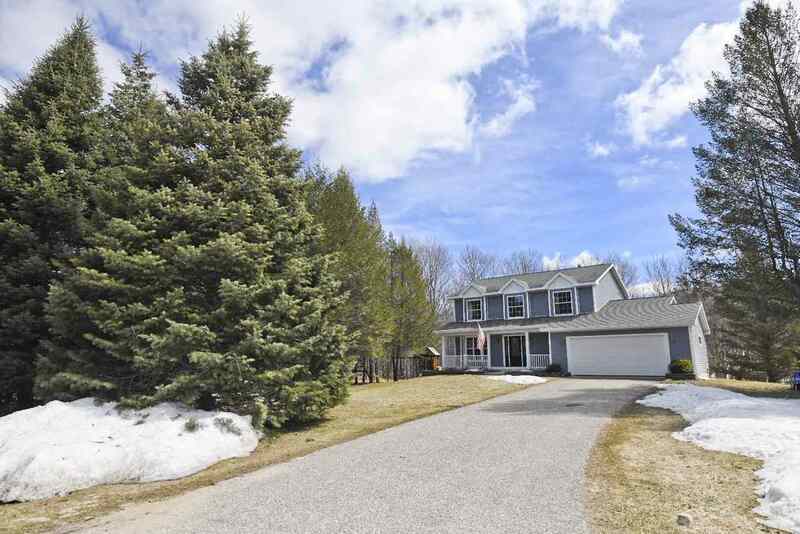 Absolutely fabulous family home on a 2.5 plus acre lot just moments from downtown Petoskey. Located at the quite end of a Cul~De~Sac is this updated, open floor~plan home overlooking a wooded ravine that is ideal for privacy and all ages recreation. Inside features 3 full bedrooms upstairs with an additional room in the walk out lower level that is currently being used as a 4th bedroom, 3 full baths, plus a main floor powder room. Fabulous eat~in kitchen with directly adjacent living room plus a formal dining room, sitting room, and a full family/kids room in the lower level and every room is light and bright with an abundance of built ins and custom features. This is a lovely, well conceived neighborhood of very well kept homes yet it`s not an association so there are no dues. Large list of updates available upon request and ready to see immediately. Call today for a tour..